We have recently added several new Quince Años items--check out our selection on our Quinceañera and Sweet 16 Jewelry page, to see pendants and rings designed specifically for this important occasion, even a few bracelets, earrings and lockets! And, on that page, we also suggest a number of other jewelry items which would be appropriate for Quinceañera and Sweet 16 occasions. 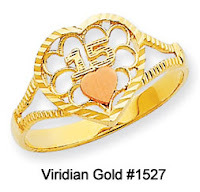 For 15th birthday, consider our new Diamond Cut, Two-tone Gold 15th Birthday Heart Ring. This delicate, open-work yellow gold ring features a rose gold heart in it's center, surrounded by a radiating heart design. 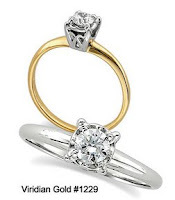 All of this is accented with diamond-cut ridges which capture and reflect the light, giving the ring an extra sparkle! 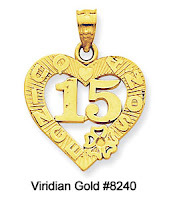 Also check out our new Gold Quince Años Heart Pendant, which features a large "15" inside a cut-out heart, with the words Quince Años around the heart itself. 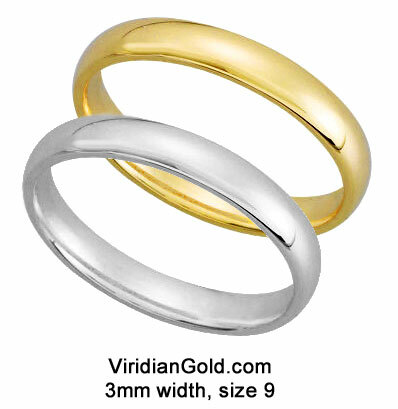 These items are both crafted in high-quality 14K gold. You can also find more jewelry suitable for teens and pre-teens on our Children's and Teen's Jewelry page.